Regarding my latest weight-loss endeavor, I’m afraid I’ve hit yet another plateau. To be honest, I’d be perfectly fine staying in the 205-210 pound range the rest of my life. The problem is once I get back into that area I balloon up to near 225 in no time, thus sparking another grueling and regimented attempt at dropping weight. Then the thought occurred to me. Why continue on this seemingly frustrating journey of trying to shed that last 10-15 lbs? Maybe I could just buy bigger clothes. Initially I might look like I’m wearing a parachute. But then the challenge could be to grow into the new duds as opposed to trying to fit into the old ones. Closed circuit to Competition Committee chair Learned Foot: Would you consider having a John Daly look-alike contest at this year’s Millard Fillmore Memorial Open Championship Golf Outing Charity Classic? I think I could be in “shape” by July 25th!! New York’s Yankee Stadium (a/k/a The House that Ruth built) originally opened in 1923, and has seen some of the most legendary players don the Yankee pinstripes. Even the most casual baseball observers know the names of Ruth, DiMaggio, Mantle and Berra. 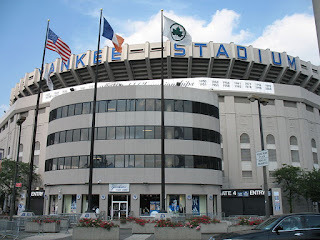 It has also been the home to 26 world championship Yankee teams. When one thinks of baseball lore, the New York Yankees are usually at the forefront. 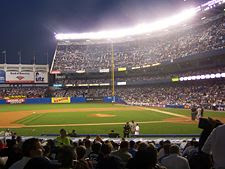 With a $1.3 billion stadium slated to open in 2009, this season will be the last year in which the New York Yankees play in Yankee Stadium. 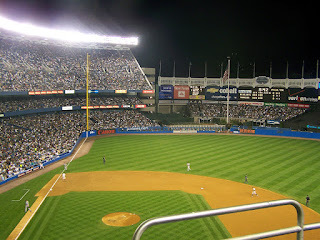 With that in mind, my brother and I made a pact that we were going to get to a game in that famed baseball cathedral in the Bronx. Today, we made it official!! We booked our flights and lodging for New York City and are planning on taking in the July 23rd afternoon game against our beloved Twins! As it is, this will be my first trip ever into NYC. We even booked our room at the Wellington Hotel, which is right in Manhattan! 85 days and counting. Man, I can’t wait!! No wonder I never had a shot with Mindy. Saying "all is fair game," lawyers for Roger Clemens' former personal trainer Brian McNamee say they intend to capitalize on allegations of an extra-marital affair involving Clemens and a country music singer in defending a defamation suit Clemens filed against McNamee. The New York Daily News, citing "several" unnamed sources, reported on its Web site Sunday night that Clemens and country singer Mindy McCready had a decade-long affair. Clemens' lawyer, Rusty Hardin, said Clemens and McCready had a friendship and nothing more. The allegations, according to the Daily News, claim Clemens was 28 when he first had contact with McCready. She was 15 when he noticed her at a Fort Myers, Fla., bar while out with his Red Sox teammates, according to the Daily News. I had a chuckle when I read that last sentence. When I met Mindy about ten years ago, I told her that I was in her hometown of Fort Meyers for Spring Break in 1991….when she was 15. I also mentioned that I often wondered if I ever saw her at the beach that week. Given her past, she seemed like the type who ditched school regularly. However, if the aforementioned allegations are true, it seems she would have been otherwise disposed. Jared Allen signing questioned by some. As a Vikings fan I was extremely thrilled with the trade the club made with the Kansas City Chiefs for DE Jared Allen. Granted, Allen has had some off-field issues. Since 2002, Allen has been arrested for drunk driving three times. He received a four-game suspension by the NFL for the beginning of the 2007 season, a penalty that was eventually reduced to two games. With the huge contract doled out to the troubled Allen, ESPN.com columnist Jemele Hill sees some inconsistencies in the Vikings’ thought process. How can the Vikings justify inking Allen, who has been arrested multiple times for drunk driving, to a $74 million deal ($31 million guaranteed) when in 2006 they released wide receiver Koren Robinson because of the same problem? Simple. The Vikings signed Robinson as a reclamation project after he was cut by the Seattle Seahawks at the conclusion of the 2004 season. They figured a change of scenery would be a significant factor in Robinson’s recovery. Does that mean the Vikings organization should cease with the high risk, high reward transactions just because they’ve been burned before? Besides, the Vikings acknowledged their mistake, especially after Robinson’s drunken 100 MPH jaunt through St. Peter, MN in August 2006. As such, they did their due diligence when exploring a trade for Allen. The deal took nearly two months to complete. (Head Coach Brad) Childress said the Vikings did an exhaustive background search on Allen to make sure the significant investment was prudent. "He's a guy that readily acknowledges his past," Childress said. "I think he is ready to have a positive influence on this team and on this organization, both on and off the field." Robinson claimed he had a new lease on life after signing with the Vikings. As it turned out, his struggles clearly weren’t behind him. Meanwhile, Allen has also pledged to leave his past behind. I think he deserves the same benefit of the doubt Robinson received upon his 2005 signing. I made it back safely from my business trip to Nebraska! My boss and I flew in to Lincoln on Wednesday morning and then drove 90 minutes southwest to Fairmont, NE where our plant is located. I have to say that more companies should have business in Nebraska. That way you can be assured the employees will work late every evening since there aren’t a lot of distractions to take them away from business. In fact, the hotel where we stayed made the Bates Motel look like a Hilton. As we wrapped up the work day on Wednesday evening, we asked some of the office staff if they had any recommendations for fine dining. We were told to check out Bubba's Anytime Strang Café in Strang, NE (population: 32 38!). And the timing of our trip couldn’t have been any more fortuitous as it was Wacky Wing Wednesday at Bubba’s that evening!! What they do is spread a plastic table cloth (colored Nebraska Cornhusker Red, of course) and proceed to dump buckets of chicken wings and fries on the table. And if you ask for utensils, they look at you like you’ve sprouted a third eye. Anyhow, once you’re done with that fine cuisine, they fold up the bones in the table cloth and throw it away. Man, where was a place like this in Minnesota when I was a kid? As we left Bubba’s, we walked by a table of five 20-something gals who polished off two beer towers and were starting a third. Just another April evening in the Cornhusker state! #9,999,997: Defecate out a flaming hot porcupine. #9,999,998: Sit through a Flavor of Love marathon. #9,999,999: Vote for Al Franken for…well…anything, really. #10,000,000: See caustic hag “comedienne” Kathy Griffin in concert. Live from the Cornhusker state. I'm coming to you live from Fairmont, NE (population: 691). I am working from one of my companies' subsidiary locations. Upon my return, I have to share an amusing anecdote from the dinner we had last night in Strang, NE (population: 32). Since my father-in law passed away a couple of months ago, my wife & I have been working to move her mother in with us. This was a promise Jen had made to Dad in the last days of his life. But it wasn’t like this was a spontaneous decision. About 3-4 years ago, when Dad’s health was in its initial decline, we privately talked with Mom about her living with us. And since we currently live only two miles from Jen’s sister and her family, Mom would be near both of her daughters, sons-in law and all of her grandchildren. It seemed like the ideal scenario. Since we are in the process of adopting a child, our current residence would not be amenable for the four of us. Thus began the exhaustive process of searching for a home which would accommodate us all. But last month we seemingly received an answer to prayer as we came across a custom home builder on the Parade of Homes. We explained to him (like we had to a dozen other builders) what we were looking for. We sought to build a residence which would allow Mom to live with us but still maintain her solitude. That would entail Mom having her own dining area, appliances, etc. Thankfully, the aforementioned home builder had the perfect design. And since it wasn’t something we would have to design from scratch, it wouldn’t be nearly as costly to build. Combine that with a slow real estate market, and we were getting a really great price on this home!! And the land where we were to build was only eight miles north of our current residence, which meant Mom would still be close to her entire family. Mom also insisted on continuing to attend a Missouri Synod Lutheran church. Upon doing some research, there was such a church two miles from the new place. It was all right there. Everything just fell into place so easily and construction was scheduled to begin within the next couple of weeks. The only obstacle remaining was selling our homes. However, the realty company assured us that was a mere formality despite a difficult seller’s market. That’s because the realty group we were dealing with has a buyout program where they guarantee the sale of a home or they will buy it outright. Granted the buyout would not be full listing price but that was fine with us. Since we were going to obtain the new home at such an incredible bargain, it allowed us to be somewhat flexible on the sales of our respective homes. Yesterday was the final meeting with the realtors. They were going to present the proposed list price for Mom’s house, with the guaranteed buyout coming in at about 90% of that. Jen and her mother listened intently to the offers. Since we all have been praying fervently over the past month for doors to be closed if this wasn’t right, I trusted my gal’s instincts wholeheartedly in making the right decision. Bottom line, she just didn’t feel right about the offers put forth despite all of the plans we’ve put into relocating. As a result, we’ve decided to “lean not unto our own understanding” and remain open to the plans the good Lord has for us. As such, the initial disappointment quickly turned to joyful anticipation. As we’ve learned so often over the past several years of our walking in faith, “He will never leave us nor forsake us.” And as is always the case, the best is yet to come! Closed circuit to those who leave anonymous comments. I appreciate the fact you take the time out of your busy schedule to stop by and respond to posts on this blog. However, I am going to start deleting comments which are left anonymously. If you have such strong opinions and passionately believe in what you say, then have the intestinal fortitude to attach your name to it. Ron Paul supporters left bitter in CD3. Much like they did at the CD6 convention, the Ron Paul supporters tried to flood the delegation at CD3 convention Saturday afternoon. However, their plans were thwarted by the rules of the CD3 nominating committee. As I left the convention I chatted with a guy in my BPOU named Scott, whom also attends the same church as I. He was ranting and raving about how the GOP just changes the rules in the middle of the game. ”Oh, you must be a Paul-bot”, I said. He indeed was. And because I became a McCain supporter after Fred Thompson left the race, Scott proceeded to get in my face and accuse me of "putting security over liberty.” I was quite puzzled by such a remark, given the fact it’s rather difficult to attain liberty if your country is under constant threats of terrorism. Live from the CD3 convention. Live from Bloomington, MN, it's the 3rd Congressional District Convention!!! 8:55: As I entered the site of the convention, there were some young skulls full of mush all dressed up holding signs at the entry way. The signs said something along the lines of "$pecial Interest$ for Norm: Thank You from Big Pharm and Big Oil." Not bad. But I will say that those big companies at least pay their Unemployment and Disability Insurance. 9:30: Have already seen Derek Brigham (SD45), who's a big dog in CD3. Also, Michael Brodkorb is here at the reporter's table. No Lori Sturdevant sighting as yet. She must still be in mourning that Jim Ramstad is retiring. 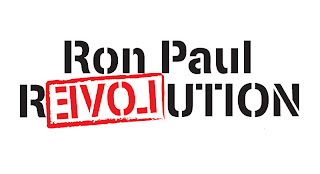 10:03: One of the "Ron-ualans" has already come forward to ask if they could speak on behalf of Ron Paul for President. 10:14: Governor Tim Pawlenty has entered the building!!!!!!!!!!! 10:17: The Governor implores everyone to get back to the Reagan playbook. 10:28: The Gov wraps up by telling us to throw our weight behind anyone who receives GOP endorsements. "Those who agree with us 90% of the time are not our enemies." A reference the "Override Six" perhaps? Gov Pawlenty, you're much too kind. 10:31: "The Rammer" approaches the podium. 10:37: Rep. Ramstad delivers a very heartfelt speech in thanking his staff and campaign volunteers for their service during his 18-year tenure in the US Congress. Ramstad mentions he has something in common with President Bush: They both married waaayyy out of their league. 10:41: Ramstad switches gears by passionately pointing out the continued support of the war in Iraq as well as the fight against illegal immigration. 10:47: Ramstad strenuously reminds us that the 3rd District is trending Democrat. But he also takes a shot at DFL endorsed Ashwin Madia by saying "unlike his opponent, Erik Paulsen doesn't need on-the-job training to be in Congress." 11:04: Bethany of the College Republicans has the mic. 11:07: Alex Friedman of the teen-aged Republicans now has the mic. WOW, this kid is incredibly bright and articulate!!! Maybe there is hope for our future!! 11:15: The nominating committee officially names Erik Paulsen as a nominee. 11:17: The Erik Paulsen committee is now making their nomination speech for Paulsen's CD3 endorsement. 11:26: Paulsen takes the stage to a thunderous ovation! 11:32: Paulsen: Fiscally responsible; Strong National Defense; Limited Government. WHAT'S NOT TO LIKE???!!! 11:39: IT'S OFFICIAL!!! Erik Paulsen is the newly endorsed GOP candidate in Congressional District Three!! 11:43: The process of electing Delegates and Alternates to the National Convention now begins. 11:59: There are a total of about twenty people vying for six spots (3 Delegates, 3 Alternates). They each have one minute to speak. 12:00: Someone made a motion to break for lunch but it was shot down. My stomach is NOT happy as a result. The one-minute speeches will commence. 12:05: Some guy with a Chester A. Arthur mustache is giving his talk now. 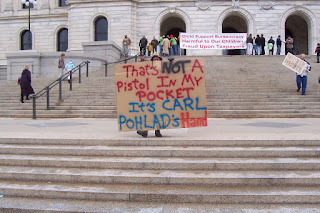 12:14: Rick Weible (St Bonaficious mayor) shills for Ron Paul and then erroneously states that the majority of Minnesotans voted for Paul in the February caucus. NOT TRUE!! Mitt Romney was the winner. The good mayor is being booed unmercifully for his insistence on Paul having won the February caucus. However, Mr. Weible ended on a good note by highlighting his record as a fiscally conservative mayor. 12:21: The gentleman speaking now has fourteen John McCain bumper stickers on his canoe. Sheesh, that's one way to scare off the fish. 12:27: Delgate speeches are done!! GOP chair Ron Carey now takes the stage and promptly takes a shot at Barack Obama's "bitter" comments. 12:44: Ballots for the Delegates and Alternates are now being handed out. 12:49: The voting for Delegates and Alternates to the National Convention is taking place. With that, I'm signing off and going to get something to eat. It's been a pleasure to serve you!! Parody song: Jeremiah was my pastor. Sung to the tune of the Three Dog Night song Joy to the World. 3) Milwaukee Brewers pitcher Ben Sheets getting hurt. Ben Sheets dominated for five innings before a tight pitching arm forced him from the game Friday night. Sheets felt tightness in his right triceps and left for a pinch-hitter in the sixth inning with the Brewers ahead 5-0. In the last two years, Sheets has been limited by a strained groin, a torn finger tendon, shoulder tendinitis and a sore chest muscle. 3) The Boston Red Sox and New York Yankees taking four friggin’ hours to play a baseball game. In eighteen regular season matchups in 2007, the average game time of a Yanks-Red Sox contest was 3 ½ hours. In a 15-9 Yankees win Wednesday evening, the nine inning game took 4:08 to complete. These two teams have now played each other four times in the past six days. Average game time: 3:28. All other Major League games typically are a shade under three hours. The worst part is that ESPN and Fox Sports continually make the Yanks-Red Sox the nationally televised game almost every time they play. Saturday, April 12: FOX game of the week. Sunday, April 13: ESPN Sunday Night Baseball. Wednesday, April 16: ESPN Wednesday Night Baseball. You can certainly rest assured that’s not going to change any time soon. Given the market size and on-field success of the two franchises, expect to be force-fed at least two out of every three games these teams play each other. T-minus 100 days!! That is the length of time until the 4th Annual KARNation Millard Fillmore Memorial Open Championship Golf Outing Charity Classic Presented by Kia Motors. Today I received the initial tourney newsletter from Competition Committee Chair Learned Foot confirming the July 25th tournament date. My goal is to play at least two rounds of golf between now and then. In fact, I haven't teed it up since July 6, 2000, which was the day before I got married. And no, as I matter of fact I wasn’t playing golf just to get out of last-minute wedding planning and I deeply resent the insinuation!! Anyhow, in the interest of preserving the life of any water fowl that may be wading in the golf course ponds on July 25th, I’m heading to the nearest driving range to hone my accuracy at the tee box. While writing a recap of Saturday’s Tax Cut Rally, I mentioned a tongue-in-cheek remark made by MC (and KTLK morning host) Chris Baker. After Rep. Michele Bachmann’s impassioned speech at the rally, Baker quipped, “I might now reconsider my position on banning human cloning.” Of course the insinuation was that we need more people in Congress with Bachmann’s passion, hence let’s just make more than one of her. Baker’s attempt at levity was pretty obvious, right? 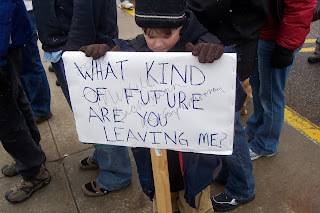 Michele Bachmann Fans Call for Human Cloning. Of course, I’m probably being more than charitable to the anti-Bachmann crowd for being able to discern humor relating to the Congresswoman. So if indeed that headline was a serious premise for their post, then it really is true what they say. The best kind of comedy/satire is that which isn’t intended to be funny but is humorous nonetheless. OK, I’ll admit it. I’m incredibly angry with Barack Obama. Oh sure, I was aghast at his condescending, bigoted and snide remarks at a San Francisco fundraiser a little over a week ago. But I'm even more upset because he actually has me siding with Hillary Clinton to be the Democrat nominee. Unbelievable!! I guess you could say the junior senator from Illinois has unwittingly become a unifier. 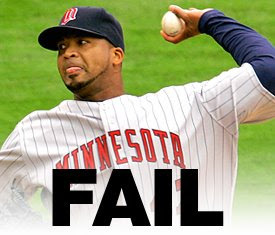 On Sunday, Twins pitcher Francisco Liriano made his first start since September 2006. It has been a long, grueling rehabilitation process for Liriano since undergoing Tommy John surgery on his pitching elbow eighteen months ago. After a lackluster Spring Training, he was kept in Florida to make a rehab start for the Twins Class A team and then made a start last week for the AAA Rochester club. Having failed to impress, I was convinced Liriano should not have been in the major leagues until about June. No need to rush him, I thought. His outing against the Kansas City Royals Sunday only confirmed those sentiments. He allowed eleven baserunners (6 hits, 5 walks) in only 4 2/3 innings. Let it snow!! Tax Cut Rally a huge success!! 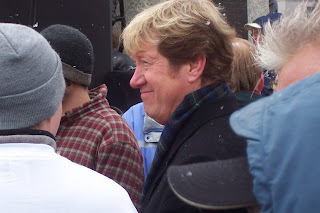 Thousands converged upon the MN State Capitol Saturday for the annual Tax Cut Rally, hosted by KTLK’s Jason Lewis. Despite the less than ideal weather conditions (32 degrees, flurries, blustery winds), today’s showing gives a clear indication that the people of Minnesota are completely fed up with our overreaching government. The $6.6 billion tax hike for the Mass Transit Subsidy Transportation Bill was the final straw for many. The rally also featured some impassioned speeches delivered by the likes of MN House Minority Leader Marty Seifert, CD5 GOP candidate Barb Davis White and Rep. Michele Bachmann (CD6). In fact, Bachmann’s speech prompted MC Chris Baker to say he would reconsider his position on banning human cloning if it meant we could have more representatives like her. 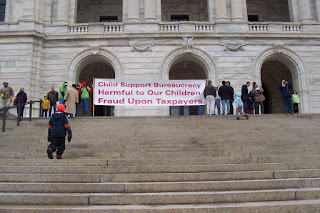 And you think the left is irrational over one Rep. Bachmann? 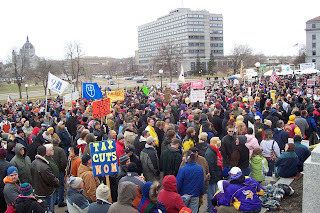 The large crowd huddles together to stay warm as well as decry the out of control government spending. Many expressed themselves so eloquently with their signage! Jason Lewis is rarin' to go as he heads toward the podium to wrap up the afternoon. A five minute excerpt of Jason's speech. I seem to recall that at last year's rally the global warming crowd was nearby with a protest of their own. Given today's weather conditions, they were conspicuously absent. Viking Hall of Famer arrested. Former Minnesota Vikings great Carl Eller was arrested by Minneapolis police early this morning after he allegedly assaulted two police officers who stopped him for suspicion of driving while intoxicated. Police have not said how seriously the officers involved were hurt, but an incident report indicated that one officer sustained a bruise and a second an "apparent minor injury." Given the high-speed incident which took place a couple of years ago, this latest scrape will likely land Eller in more hot water. He pled guilty to fourth-degree drunken driving after the State Patrol arrested him for going 97 miles per hour on westbound Interstate Hwy. 394 near Hwy. 100 on Feb. 28, 2006. He was sentenced to five days of community service and two years' probation for that offense. Tonight at the monthly meeting amongst SD49 Republicans, the proverbial elephant in the room was acknowledged. Which candidate will outgoing representative Kathy Tingelstad (R-49B) support in the race for her vacated seat? The DFL endorsed candidate in our district, Jerry Newton, never opposed Tingelstad in any of the previous six elections because he considered her a good friend. Given that background, many Republicans in our House District were genuinely concerned that our candidate would be thrown under the bus as a result. So the question was asked: Are you going to support Jerry Newton? With that, I will take Rep. Tingelstad at her word. Beware of the "Block" heads. Yet another illustration of how the years have flown by. They may be pushing 40, but the New Kids are returning to the block. Forty???!!!! Are you freakin’ kidding me? I was two years out of high school when these guys hit it big. The boy band New Kids on the Block, which sold 70 million albums in the 1980s and early '90s, has reunited and plans to release a new album and go on tour. The reunion comes 20 years after the release of the group's multiplatinum album, "Hangin' Tough." At the height of their popularity, New Kids sold out world tours, marketed millions of dollars in merchandise and spawned a Saturday morning cartoon. They also caused teen girls to completely lose any semblance of rational thought. In the Summer of 1990, the New Kids held a concert at Harriet Island in St Paul. After the show ended, a 16-year old girl and three of her teen friends saw a large coach bus that appeared to be the band’s tour bus. The 16-year old (who had her mother’s car for the evening) and her three young friends decided to follow the bus as it pulled out of St Paul. They figured the bus would make a pit stop somewhere in Minnesota where the four girls would then meet the band they lusted over. As it turned out, the bus didn’t stop until it got near Kansas City, MO!! And much to the chagrin of the teenaged twits, the band wasn’t even on that particular bus. Can you imagine the phone call the girls had to make to their parents? By the time the bus made its first stop it was 6:00 am and the girls were eight hours from home. And to think those little bubbly headed twits are now in their 30s and probably have kids of their own. 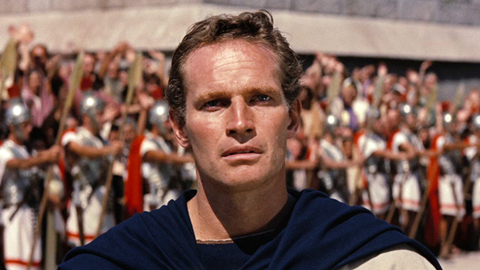 Check out the nice video retrospective of the life and work of Mr. Heston. From the trailer for the classic film Ben Hur. 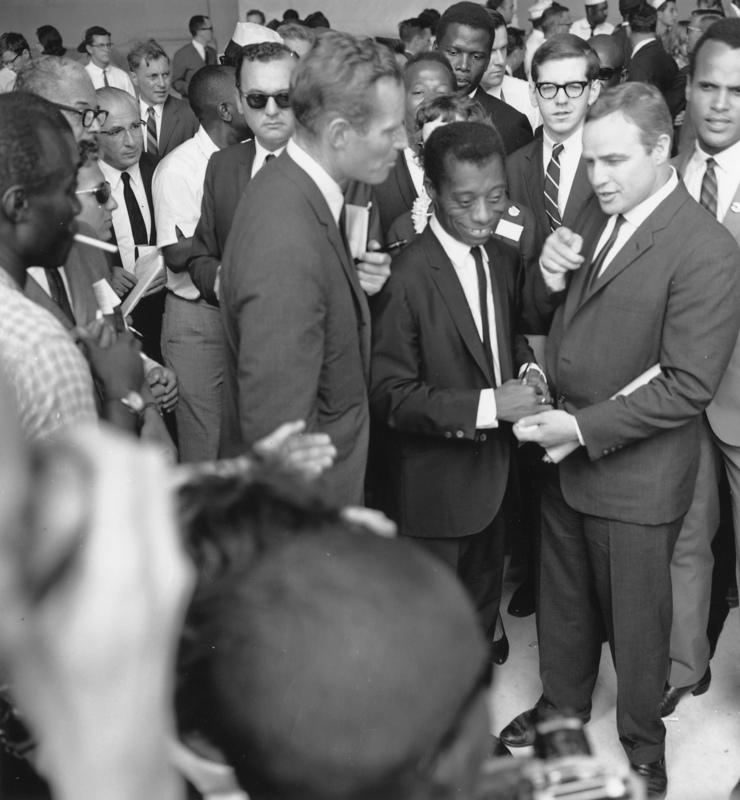 Charlton Heston (left) with Marlon Brando, James Baldwin, and Harry Belafonte at Civil Rights March 1963. Heston with President Ronald Reagan during a meeting for the Presidential Task Force on the Arts and Humanities in the White House Cabinet Room, 1981. Charlton Heston accepting a presentation rifle at 2000 NRA convention with the now well-known exclamation "From my cold, dead hands!" Eat your hearts out, Abbott & Costello. During the NCAA basketball Final Four Saturday evening, CBS’ Jim Nantz mentioned the name Sasha Kaun, who plays the center position for the University of Kansas. That prompted my gal to come rushing out of the kitchen. The Gal: Are you watching figure skating? Me: Ahhh, no. What makes you think that? The Gal: Sorry, I thought I heard Sasha Cohen’s name. Me: Wait, now I’m confused. What does the guy who played Borat have to do with ice skating? The Gal: Huh? That’s Sacha Baron Cohen. The figure skater is just Sasha Cohen. Me: Oh. Well, I’m watching basketball. The announcer guy mentioned the Kansas player Sasha Kaun. The Gal: Oh, I see. But wasn’t that the name of the singer who sang that song I Feel for You? Me: That would be Chaka Khan!! Or was that the name of the character on that campy 70s TV series Land of the Lost? The Gal (sighs disgustedly): I think I’ll go see if I can find some figure skating on TV. -This past week marked the first 40-hour (or more) work week I’ve put in since about mid-January. In fact, in the eight months I was doing consulting, I probably only worked three such full weeks during that time. Back to reality, I guess. -The gal indulged me by accompanying me to the Thursday night pub quiz at Keegan’s. Having arrived halfway through the 6:30 quiz, we scrambled to find a team who would take us on. I joined teammates Ben, John and the B’day boy, while Jen collaborated with David Strom and his wife Margaret. As a result, they took first place in round one. For the second (and more difficult) round, I took back my gal to be on my team, much to the chagrin of Strommie. Turns out that Jen had the Midas touch as she and I, along with Night Writer and Tiger Lilly, captured the ultimate prize for the 8:00 quiz! 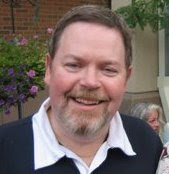 -Friday morning I started anew with my weight loss efforts, thus making an official weigh-in before starting the day. With Spring and Summer fast approaching, I definitely want to get back into the swing of my seemingly never-ending battle of the bulge. While I got off to a great start this year, I have seen a net gain of three pounds over the past two months. However, I know I was heavier at the beginning of March so the good news is I’m starting to drop again. With my birthday coming up in seven weeks, I’m looking to go from my current weight of 209.5 to under 200, where I haven’t been since 1999. Separated at Birth? 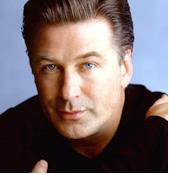 Alec Baldwin & The Night Writer. Yeah, I know they look nothing alike. However, both guys are celebrating a milestone birthday today by officially reaching the half-century mark! But in this space the only one receiving b'day greetings is the guy more likely to be voted "Father of the Year" (hint: it ain't Alec). Expecting a Wolves win made us April fools. As referenced in my profile, my interest in the National Basketball Association these days is nearly non-existent. Other than the Timberwolves magical run to the Western Conference Finals in 2004, I haven’t been an avid NBA fan since the “Heart of a Champion” Houston Rockets of 1994-95. However, free tickets to last night’s Pistons-Wolves game at Target Center happen to fall into my lap. A manager at my workplace had four tickets yesterday morning that he literally couldn’t give away. Since it was last minute, I called my brother yesterday about seven hours prior to game time to ask if he would like to go. Thankfully he agreed, but we still had the matter of two extra tickets. I mean, I know the Wolves stink this year. But when I asked other people if they would like to see the Wolves play, you would have thought I was attempting to give away the bubonic plague. Instead we unloaded the tickets to a young couple who walked up to the ticket windows, thus giving us our concession money for the evening! As I was entering the Target Center, I consoled myself by saying we can at least witness the play of such NBA stars as Richard Hamilton, Rasheed Wallace and Chauncey Billups. Upon sitting in our seats (ten rows behind the visitors’ bench) we noticed all three were not even suited up for the game. Oh well. With the Pistons three stars out of the lineup, we might have a chance to see a Wolves victory. Skunked again! The Wolves blew a 21-point first half lead and then lost a two –point lead with less than three minutes to go in a 94-90 defeat. After viewing such a wretched product that is called the Minnesota Timberwolves, I received a harsh reminder on why my interest level in the NBA has pretty much dissipated.